HOFOWEM seeks to help rehabilitate Vulnerable Children and encourage the education of underprivileged children. The welfare and health care of underprivileged children is also an area HOFOWEM considers important. “Education is a fundamental human right and essential for the exercise of all human rights. (i.e. teenage prostitution, teenage pregnancies, street trading, lack of education, etc). 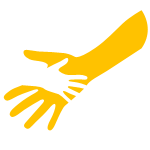 Provide assistance to children living with disabilities.